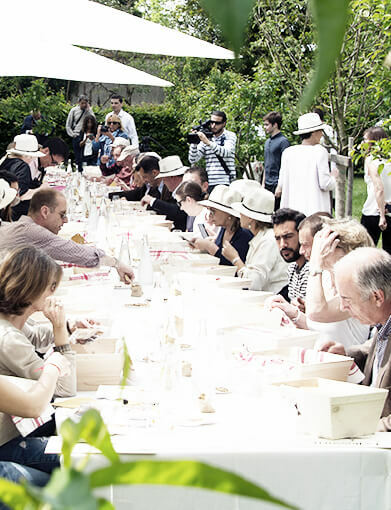 Enjoy the spring by embarking on a gourmet cruise aboard Ducasse sur Seine. The opportunity to taste Francis Fauvel's new menu, which enhances the most beautiful seasonal produces. Book now! This Easter, La Manufacture takes you to the farm. Clear lines, streamlined shapes, Adopt our chocolate bunny designed by Soins Graphiques, in garnished, hexagonal or hiding version! Since 1999, DUCASSE Education has been transmitting its knowledge and passion to cooking professionals and amateurs throughout the world. Our savoir-faire is unequalled in Paris - from the roasting of the bean to the tasting, we master and control each step of the manufacturing process of coffee & chocolate. Chic brasseries, palace restaurants, traditional cuisine or with Japanese influences, the multi-starred chef loves to make his gastronomy travel. Launched in 2017, the restaurant offering dedicated to cultural tourism now has 40 locations in the heart of 9 Parisian cultural places. Seminars, business meals, private parties... DUCASSE Paris accompanies professionals and private individuals in the organization of their events. 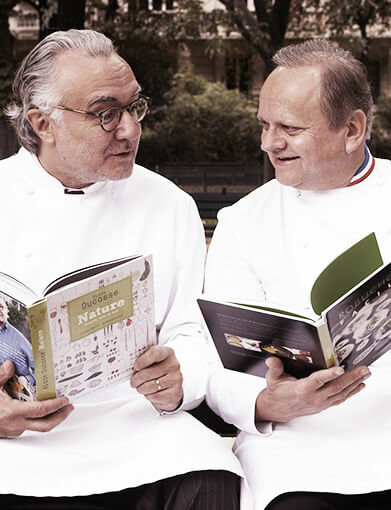 Since 1999, DUCASSE Edition has invited the big names in world-wide gastronomy to share their secrets in inspiring book collections. In the heart of Provence, 2 charming country inns that bring together gastronomy, relaxation and pleasure for the senses. 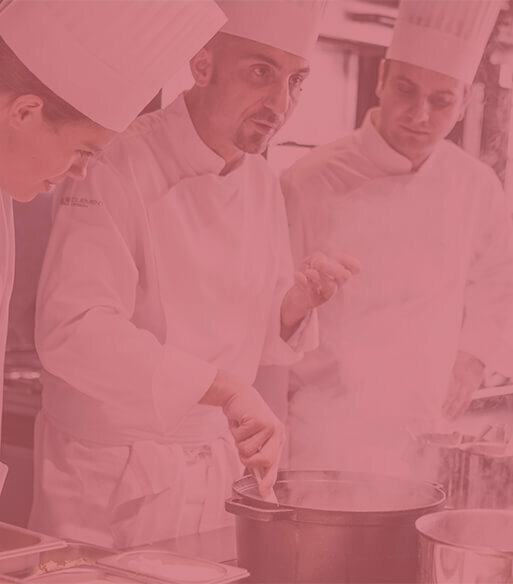 DUCASSE Conseil accompanies entrepreneurs in the development of their offering, from culinary mastering to project management. Cuisine resembles the person who creates it, reinvents it, embellishes it over time and through the seasons, who puts into it the best of themselves. To the cuisine enthusiasts, the creatives, the bold... join the DUCASSE Paris team and make your talent grow! Don't Lose a Single Crumb! Subscribe to our newsletter and receive essential news from DUCASSE Paris. Not a valid email address format. You've successfully subscribed to our newsletter. Check out our Social Media pages for the latest news on DUCASSE Paris.